The event of the year! On Sunday, Dec 2nd lets get together to celebrate us!! 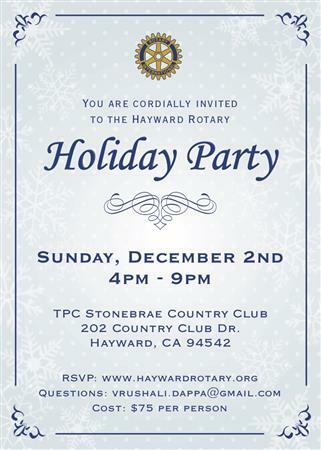 The party begins at 4pm with Cocktails and gourmet hors d'oeuvres, while looking at gorgeous evening views from Stonebrae Country Club's Bayview room. Dinner will be a 3 course meal served at 5:30pm This will be followed by a Raffle and a chance to win exciting prizes, at no extra cost!! Dancing and revelry will close out the evening. Event is $75 per person. Please indicate your meal choices in comments. Do so for each attending guest. 1. Grilled Atlantic Salmon Tarragon Champagne Cream Sauce.